On March, 14, 2018, at approximately 1:00 pm., Rossburn RCMP were made aware of a social media post showing a student at Rossburn Collegiate in possession of a handgun. As a precaution, the school was placed in lock-down. Once the student was identified, RCMP quickly located the suspect and arrested him near the school. 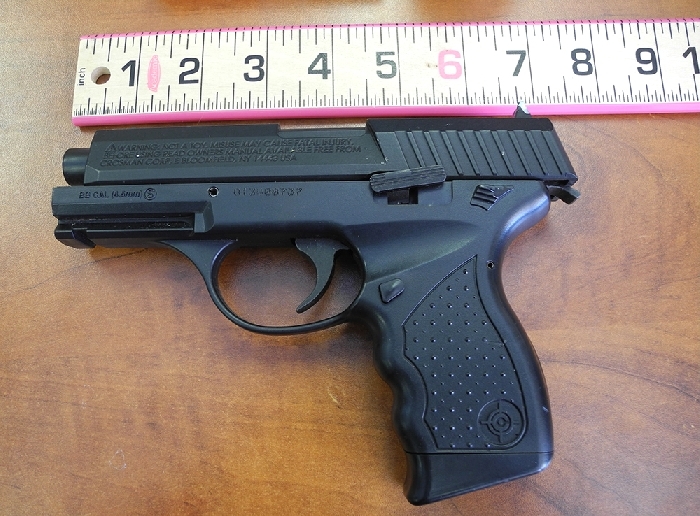 Upon searching the suspect, RCMP recovered a CO2 powered replica pistol with ammunition. No one was harmed during the incident and no other students are being investigated. Upon the suspect's arrest, the lock-down was lifted. Randy Jordan Oudie, 19, of Dauphin, MB has been charged with Possession of a Weapon for Dangerous Purposes and Carry Concealed Weapon. He has been remanded into custody.